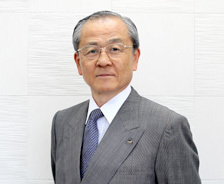 Message from the President | CSR | MURAKAMI CO., LTD.
With awareness of this question, we will drive forward our business activities. In our mission statement, there is a phrase that states: “We promise that our technical capabilities will lead to environmental conservation and people’s happiness.” In accord with this mission statement, as a manufacturer involved in screen printing, we have developed and commercialized photosensitive materials that do not use any bichromic acids; and we have introduced to society numerous screen masks that have used these photosensitive materials. Today, our photosensitive materials are used at manufacturing sites around the world, including for electronic parts such as capacitors, solar cells and touch screens. Murakami’s products are often used in the manufacturing processes of products; thus, our end users will rarely have an opportunity to see them. However, the industrial products that are created using Murakami’s products can be seen in various scenes of society, and they pervade the daily lives of many people. Accordingly, we have carried out our business activities at all times bearing in mind that the products we sell must be kind to the environment and help make life more convenient and enriching. Murakami Group consists of manufacturing and sales locations such as in the U.S., Singapore, China, South Korea and Taiwan. In addition, we have propelled sales in Europe through distributors from an early stage. We believe that, in order to smoothly implement these global business operations, it is necessary that we secure transparency of management and comply with the laws and social norms of each country. Based on such recognition, at Murakami Group, we will continue to take action with a perpetual positivity and an awareness of the following question: “What can we do as a company towards the realization of a sustainable society?” Although the scope of what one corporate group can do is limited, we will strive to meet the expectations and demands of our many stakeholders while making steady and steadfast efforts to stably continue our business.